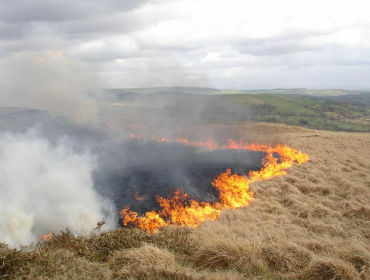 In March alone, South Wales Fire and Rescue Service were called to 239 deliberate grass fires. The incidents have taken place up and down the Valleys and far beyond. Locally, in Rhondda Cynon Taff, there were reports of six grass fires in just four hours last month. Throughout March, our fire service was inundated with call outs to tackle grass fires across the South Wales Valleys and indeed right across the nation. It is a problem that the fire service faces every year, and is one that is costing them and the government a large sum of cash to deal with. –	March saw 239 call outs. –	Last month saw 44 more fires compared to this time last year. Rhondda Cynon Taff saw the most fires, peaking at 75. Whilst over in Caerphilly, crews responded to 37 fires. In Bridgend, there were 47 fires. Over the valley in Merthyr Tydfil, firefighters battled 23 fires. And a total of 27 other fires spread out in Blaenau Gwent, Torfaen, Vale of Glamorgan and in Monmouthshire. Meanwhile, in the North of Wales, there have been fires in places like Holyhead, but the raging flames have been mostly confined to the South. Fire services up and down Wales have and continue to experience funding cuts by the UK Government leaving drained resources, and these fires do not help the situation. Jennie Griffiths of South Wales Fire and Rescue tweeted: ‘Firefighters walk across uneven ground with heavy equipment to fight grass fires so can’t get back quickly if you need them #notograssfires’ -24 Mar 2016. In the Cynon Valley the fires have been visible from a long distance. In Mountain Ash, one hectare of grass was deliberately set alight in Perthcelyn and crews attended from Aberdare Station. In Abercynon, fires were reported on Cilfynydd Road which was put out by officers within 10 minutes. New technology has been introduced. New drones have been bought by SWFR to attempt to catch arsonists. Will it work? Well, it will indeed prove and help convict arsonists. In a sense these drones are like CCTV in the skies. We hope the fire service see an improvement now through introducing the drones. 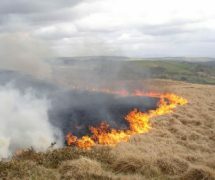 In response to the ever increasing issue of deliberate grass fires, South Wales Fire and Rescue Service have issued a warning video to everyone, outlining the dangers of setting alight mountains and hillsides.